Deposit €10 and bet with €30! You chose to not make a deposit right now. Please select where you wanna go now! Hey, great to see you again! Log in below to continue. Please enter your Email below. Please contact Customer Support if you require further assistance. Welcome to Mobilebet, we hope you'll like us! Our variety of sports markets and range across our casino is sure to tickle your fancy and to get you started on a high. 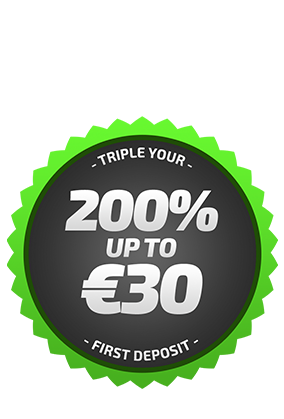 We offer you €/$/£ 20 extra on your first €/$/£ 10 deposit. For all bonus details, please have a look below. Good luck! Play with €/$/£ 30 now! Make sure to grab your Free bet! Players who have already registered a deposit in 2019, only have to opt in to unlöock the free bet. Points – Don’t miss out! No matter what kind of thrills you seek, collect valuable points and redeem them for free bets, free spins or cool gadgets. Through playing at Mobilebet you are earning points for almost everything you do: Login, Deposit, Play, even Withdrawing earns you points! Don’t forget to visit our shop or lottery regularly to check for the latest offers! Through playing at mobilebet you are earning Points for almost everything you do: Login, Deposit, Play, even Withdrawing earns you Points! Don’t forget to visit our shop or lottery regularly to check for the latest offers! All our Bonuses are transparent and easy to understand: Your Balance is split between your Real Money and your Bonus Money, which is locked for a period of time until you satisfy the usual bonus criteria. You can use your Bonus in both, the Sportsbook and the Casino. Your Bonus becomes Real Money as you fulfilled the wagering requirements, and then it's added to your Real Money balance instantly! Contact us via Live Chat, Email or Twitter about the shop, lottery, bonuses or promotions. Opening an Account at mobilebet is fast and simple. Enjoy the best live betting action with highest odds or your favourite casino games on your mobile, tablet of web browser! Mobilebet.com is operated by Co-Gaming Limited which is registered under the laws of the European Union member state of Malta. It has registration number C47444 with office address at 3rd Floor, Spinola Park, Triq Mikiel Ang Borg, St. Julians, SPK1000, Malta. Co-Gaming Limited operations are regulated by the Malta Gaming Authority (MGA) under the following licenses: MGA/B2C/178/2009. Find out more about the MGA at www.mga.org.mt. Gambling can be addictive, please play responsibly. 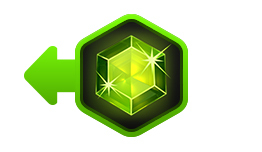 www.gamcare.org.uk, www.gamblersanonymous.org/ga/addresses, and www.gamblingtherapy.org are independent organizations that offer professional help. Having problems depositing? Click here and a charming Customer Support agent will come to your rescue. Having problems with registration? Click here and a helpful Customer Support agent will come to your rescue.